You’re getting ready to move out of your current home and into a new one, but first, you have to put your home on the market and hope it catches the eye of a high-quality buyer. There are a million things you can do to make your home more enticing to potential buyers, but it’s important to make sure the little things don’t get lost in the shuffle because they’re more important than you might think. It’s absolutely crucial that you make sure that your home’s carpets are in pristine condition for when potential buyers come to tour your home. Discolored, dull carpets will make your entire home look and feel dingy and dirty. If your carpets are covered in pet stains, that’s going to have an even more drastic effect on potential buyers’ opinion of your home. Luckily, it’s easy to find a quality carpet cleaner service in Bellevue, NE, that can completely remove pet stains and odors from your carpets and have them looking bright and new when it comes time to sell. Why Clean Pet Stains Before Moving? 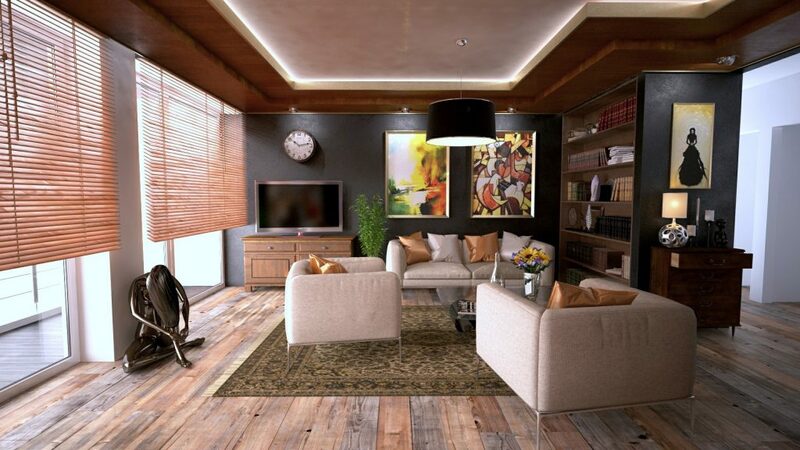 You’d be surprised at how much your carpets affect the overall look and feel of your home. You might have become so accustomed to the stains on your carpets that you hardly even notice them anymore, but a potential buyer will be looking at your home with fresh eyes and will notice every single flaw. Getting a competitive price for your home is all about enticing people to imagine themselves living a successful, happy life in the house, and if it’s covered in pet stains, that’s going to be pretty difficult. No one wants to move in somewhere only to have to spend more time and money getting stains out of the carpets. Luckily, Chem-Dry of Omaha is a highly effective carpet cleaner service in Bellevue, NE, that specializes in removing even the worst pet urine stains from your carpets. Chem-Dry uses a patented system called P.U.R.T.® (Pet Urine Removal Treatment) to lift pet urine stains and odors from your carpets for good. P.U.R.T.® doesn’t just mask the pet stain and odor with chemicals and perfumes. It gets deep into the fibers of your carpet to eliminate the pet urine crystals from each layer of your carpets so that the stain and odor are gone for good. An independent laboratory even studied P.U.R.T.® and found that it removes an average of 99.9% of pet urine odors from carpets. When used along with Chem-Dry’s HCE carpet cleaning method, P.U.R.T.® also removes an average of 99.2% of the bacteria from pet urine stains. Chem-Dry of Omaha is dedicated to providing excellent customer service every time, and they will make sure that the pet urine stains and odors are gone from your carpets for good. Dried pet stains aren’t always easy to locate, especially if you get used to seeing them every day. 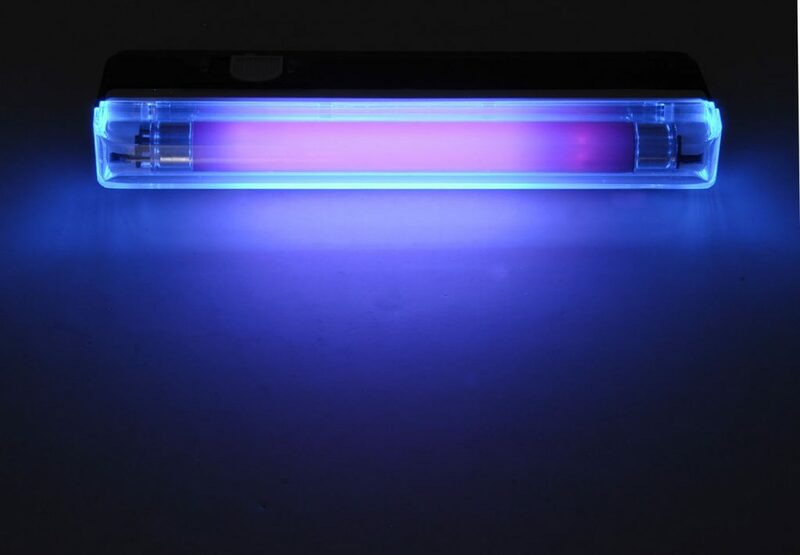 One way to find all the pet stains that are hiding in your home is to use a black light to examine your carpets. They’re usually very affordable and easy-to-use. All you have to do is remove the furniture, turn off that lights, and go over the carpets with the black light wand to find any stains. They will be extremely apparent under the black light, and you can mark them with a sticky note to make sure your carpet cleaner service in Bellevue, NE, doesn’t miss any spots. What Kind of Blinds Are Right for Me? When it comes to choosing blinds for your home, these days it seems like there are nearly limitless options. Gone are the days where all you had to do was choose between horizontal and vertical blinds. Now there are dozens of kinds of window treatments that come in every style and material imaginable. The plus side is that there’s going to be something that perfectly suits your style and your needs. The downside is that all these options can make the process of choosing blinds a little bit overwhelming. This guide will break down some of the most common types of blinds so that you can feel confident when you make your choice. Venetian blinds are among the most common and most popular types of blinds. They have horizontal slats that are attached to each other with strips of cloth or string. When raised, the bottom slay of Venetian blinds meets that slat above it until the blinds are compressed into a small, horizontal slab. They’re typically wood blinds or made of plastic, and the angle of their slats can be adjusted depending on how much light you want entering the room. Venetian blinds are usually raised and lowered with a cord, but there are also motorized options available now. As the name suggests, vertical blinds are composed of a series of vertical slats. Vertical blinds work well for large windows that are wider than they are tall. They’re easy to customize to any window size and are usually a very cost-effective option. Depending on the company you use for blind installation in Midlothian, VA, vertical blinds made of plastic may be the cheapest option available. If saving on energy costs and being kind to the environment is your top priority, consider choosing thermal blinds for your home. Thermal blinds are designed to conserve energy and stop your air conditioning or heating from escaping through your windows. You’d be surprised how much quality insulation can do to lower your monthly energy costs and cut down on your climate control usage. As an added bonus, thermal blinds can also be great for blocking out light and keeping your bedrooms dark while you sleep. While most blinds are made of plastic, wood, or faux-wood, fabric blinds have also become a popular option. They’re typically made of natural fabrics like cotton or even linen, and they can be a beautiful aesthetic addition to any room in your home. Even when lowered, they let in a soft glow of light from outside, giving you privacy without blocking out all sunlight. While they’re probably not the best option for your bedroom, they are a great choice for other rooms in your home, like your living room and dining room. When you choose a company for blind installation in Midlothian, VA, talk to the experts about fabric blinds and whether or not they’re right for your need. Adding a sunroom to your home can completely transform how you use your house. Picture yourself coming down the stairs on a warm spring morning or a crisp fall day and having your coffee while surrounded by nature, a beautiful view, and sunlight streaming in – but without swatting away annoying bugs or getting a sunburn in a matter of minutes like you might if you were sitting in the uncovered outdoors. Sunrooms are the perfect way to invite a little bit of the outdoors inside your home without bringing in any of the bad stuff. If you’re thinking of adding a sunroom to your home, but you’re haven’t nailed down the details, these three sunroom design tips will help ensure that you end up with a sunroom that you and your entire family love. When designing your sunroom, make sure to take the climate that you live in into consideration. If you live in a place where it almost never drops to freezing temperatures or below, you probably won’t need to worry about adding in any sort of heaters or electric fireplace to your sunroom. If you do live in a climate where it gets cold regularly, these additions can turn your sunroom into a place that you use all year round instead of just in the spring and summer months. Your climate can also determine what kind of glass you choose for your sunroom. If you use a lot of indoor climate control and want to make sure it’s not all escaping through your sunroom, make sure to choose low-E glass that will help cut down on energy transfer. Talk to your chosen custom sunroom builders in Bethesda for even more tips on choosing the right type of glass to meet all your needs. They’ll be able to guide you toward something that’s in your budget and has all the features you want. After the basic design of your sunroom is complete, it’s time to think about the furnishings. Spend some time carefully thinking about how you want to use your sunroom. In fact, when talking to your custom sunroom builders in Bethesda, it’s probably a good idea to know how you’re going to use your sunroom from the start, so their advice will align with your vision. Do you envision yourself having breakfast in your sunroom every morning? Do you want to be able to host a dinner party there? Or do you see yourself lounging with a good book? How you use your sunroom will completely dictate what kind of furniture you buy. For lounging, go with plush chairs or a big comfy couch. For a breakfast nook, choose a small café-style table and a few matching chairs. If you see yourself hosting a summer dinner party, find a dining table that will fit comfortably in the space. Or, if you see a combination of uses, compromise by having a small table and a plush chair so that you can use your sunroom for multiple purposes. One of the hardest things about taking care of houseplants is that they often don’t get adequate sunlight inside your home. Adding a sunroom to your home can completely change this. There are a ton of beautiful indoor plants that will flourish when you put them in your sunroom, and they’re a great way to bring even more of the beautiful outdoors into your home. Do a little research and find plants that thrive in lots of light and can withstand temperature changes and add as many as you can to your sunroom. Cabinets can completely make or break the overall look and design of your kitchen. Kitchen cabinets can set the entire tone and style of the room and dramatically transform the way you use your kitchen. When it comes to choosing kitchen cabinets, there are a lot of factors to consider. You have to set a budget, choose a style, and make sure all your specific storage needs are taken into account. This guide to choosing the right kitchen cabinets will help break down the process into smaller steps and help you think through all the important questions without getting overwhelmed or stressed. While choosing your kitchen cabinets’ color and style is probably the most fun part of the process for most people, don’t forget that cabinets are ultimately a practical part of your kitchen. When designing your new cabinets, you need to think about how you use your kitchen. Do you have a lot of large appliances that need to be stored away but still accessible? Do you need your pots, pans, and cooking utensils to be stored by the stove? Do you want your garbage and recycling to be hidden away in a cabinet? How many drawers will you need? Do you need any special features? How many base cabinets versus how many hanging cabinets? Homes in Chesterfield come in all shapes and sizes, but even if you have a kitchen that’s on the smaller side, there are a lot of tricks of the trade that can be employed to create more space. If you think carefully about how to maximize your storage and how to use your cabinets to make your kitchen easy to navigate, you’ll be able to transform your kitchen and your cooking experience with your new cabinets. Now comes the fun part. Kitchen cabinets come in all kinds of styles and colors, which gives you a fun opportunity to express your personal style and spruce up your kitchen. First, decide if you want your cabinets to blend with the general look of your kitchen or stand out as an accent. If you have a more traditional Chesterfield home, you could go with something classic and elegant to match the overall style or choose more modern, contemporary cabinets to add some contrast. Now you can get into the details. Do you want framed or frameless cabinets? Do you like a raised arch, recessed square, simple slab style, or something else? Do you want the wood to show through or do you want painted cabinets? What kind of wood do you like? Are you drawn to neutrals or brighter colors? Thinking through all these options will help you narrow down your style so that you’re not overwhelmed with options when it comes time to buy. Once you have a general style nailed down, you can get into the nitty-gritty and choose your hardware. It might seem like a small thing, but your kitchen cabinets’ hardware can have a significant effect on the overall look of your cabinets and your entire kitchen. Do you like sleek, minimal hardware or something more ornate? Do you want your hardware to match the style of your cabinets or stand out in contrast? The good news is that if you end up changing your mind about the hardware, it’s relatively easy to replace. You also want to make sure that the hidden hardware – like the drawer slides and mounting brackets – are durable and high quality so that everything works great and lasts a long time. There are so many ways to create a kitchen that transforms your Chesterfield home simply by changing your kitchen cabinets. Use all these questions to create something that’s uniquely you and brings more organization and joy into your everyday life. If you’re trying to decide whether you should go with central air conditioning or a heat pump for your home, there are a lot of factors to consider. Which will save you the most money? What about energy efficiency? Should you take the climate into consideration? It can be easy to get overwhelmed, but this simple guide will help you choose what’s best for you and your home. Do You Really Save Money with a Heat Pump? There’s no simple answer to this question. It all depends on what kind of climate you live in, what kind of home you have, and more. It’s possible that the initial cost of installation will be higher for a heat pump versus central air conditioning, but if you have to also install a furnace with your central AC, a heat pump will likely be cheaper. Additionally, if your home needs a lot of retrofitting or renovations to accommodate central AC, a heat pump will definitely be the more affordable option, as it requires little to no retrofitting to be installed. Even if your home doesn’t have adequate ductwork, you can simply go with a ductless heat pump to avoid costly retrofitting. If you’re still not sure if a heat pump is right for you, ask your local HVAC service in Richmond for advice, and they’ll help you make an informed decision. One advantage to the heat pump is that it’s a single piece of equipment that both heats and cools your home. When your home needs to be heated, a heat pump will transfer heat from the outside air to the inside of your home. Even on cold days, there’s a lot of heat energy in the air that your heat pump can capture with and release indoors. When your home needs to be cooled, your heat pump will remove heat from inside your home and release it outside. Because it’s just one piece of equipment versus two separate heating and cooling systems, you’ll likely save money on maintenance and repairs over time. If you have an HVAC service in Richmond that you already use, they can likely service your heat pump just as well as your furnace or central AC. Heat pumps generally have a much lower daily operating cost than a furnace and central air conditioning system. Heat pumps use electricity instead of natural gas to run, and the cost of electricity is typically lower than the cost of natural gas, though the difference depends on where you live. Heat pumps are far more energy efficient for homes in moderate climates, but if you live in a place where it regularly dips below freezing – and stays there for days or weeks on end – your heat pump will have to work extremely hard to keep your home warm, and you may see diminishing returns on the energy efficiency. Some people who live in cold climates still use a heat pump but supplement it with a furnace on the coldest days. Another way a heat pump can save you money is through tax credits. While it depends on what state and locality you live in, many places in the U.S. offer significant tax credits to people who take steps to make their homes more energy efficient, and that includes switching to a heat pump. Do some research and find out what tax credits, rebates, and other incentives you could qualify for if you install a heat pump. It could defray the initial installation cost and make the entire project well worth your while. Summer nights and evenings are some of the most magical times of the year. You can sit outside and enjoy the warm breeze while surrounded by nature, your family, and your friends. It feels like a carefree time that’s meant for relaxing, so why not get your home completely ready for the warm weather before it begins so that you don’t waste your summer on home improvement projects? 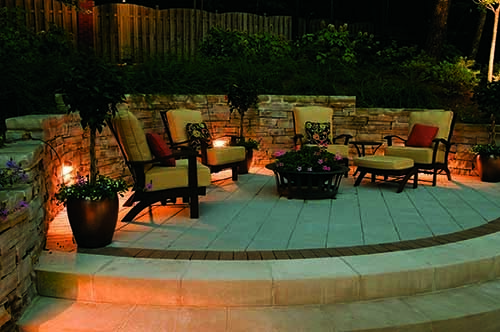 Here are three ways to use outdoor lighting to get your home ready for the summer and improve your entire outdoor space. Your deck is the perfect place to grill out with your family or relax with a glass of wine and some good friends. When summer rolls around, you’re probably not going to want to spend all day in the blistering sun, so you’re going to find yourself yearning to spend the most time out on your deck during the summer evenings and nights. Investing in deck lighting installation will completely transform your deck and turn it into your favorite summer relaxation spot. If you work with a professional lighting installation company, they’ll be able to help you design deck lighting that’s customized for your needs and highlights your deck’s best features. Outdoor Lighting Perspectives offers premium deck lighting, and they will make sure you love how your deck looks at night. 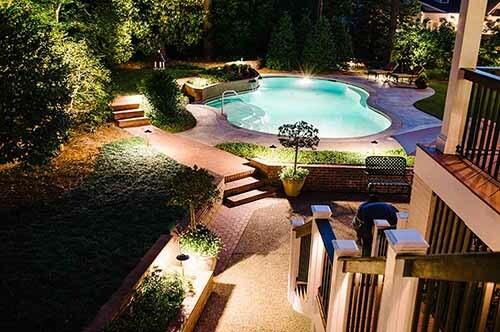 If you’re lucky enough to have a pool at home, it’s crucial that you hire a lighting service to install pool lighting – both for aesthetic value and for safety. Going on a night swim during the summer can be refreshing, relaxing, and fun, but the last thing you want is anyone falling or hurting themselves by the pool due to inadequate lighting. An expert lighting company will know exactly how to light your pool so that it’s safe and looks beautiful. Since you’re already working with a lighting installation company to get your deck and pool ready for summer, why not go ahead and add some outdoor lighting to the rest of your property? An expert lighting service can install outdoor lighting that will highlight your home’s façade, make your pathways safer, and enhance the look of your landscaping and plant life. It’s one of the best ways to increase your home’s curb appeal and make it a safer place. Many homeowners overlook the importance of outdoor lighting. It can completely transform and enhance the exterior of your home so that it looks even more beautiful at night than it does during the day. Outdoor lighting can make it exponentially safer to walk from your car to your front door while carrying an armful of grocery bags, and it can even transform your deck or patio into a place where you can’t wait to host a gathering or an outdoor dinner party. 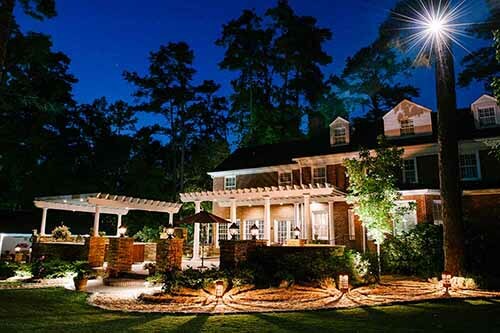 When you work with a reputable, professional outdoor lighting service, you can trust that their team of experts will do everything they can to transform your home into a safer, more beautiful place using outdoor lighting. Anyone who has ever been stuck in a power outage knows how inconvenient and downright scary they can be, especially when the outage lasts for an extended period of time. Knowing that you have a high-quality generator standing by to restore power to your home during an outage can help you rest easy knowing that you and your family will be able to stay safe and secure even when the power goes out. One of the most important things you should ask yourself when updating or replacing your generators is whether you should go with a transfer switch or an interlock kit. If you’re buying your first generator, you might not even know what these are or how to make an informed decision. An interlock kit is a device that’s installed on the front cover of a home’s breaker panel and allows for safe backfeeding through a portable generator during a power outage. Backfeeding refers to when the flow of energy is going in the reverse direction of its normal flow. Interlock kits are an easier way to connect your generator to your electrical panel while generator breakers eliminate illegal or unsafe generator backfeeding that could lead to your generator failing or even electrocutions of anyone working to restore power to the electrical grid. The last thing any of us would want in a power outage is to be responsible for harming someone trying to fix the problem. A transfer switch is an electrical switch that exchanges the load between two sources. Some transfer switches are manual, and others are automatic. Manual transfer switches are turned on when the operator throws the switch by hand, and automatic transfer switches are triggered when they sense that one of the electrical sources has either gained or lost power. When you use an interlock kit, all of your panel’s circuits can be energized up to the load capacity of the generator. With a transfer switch, only a few circuits can be operated at once. Transfer switches also need an entirely separate panel in order to operate, while interlock kits can be installed directly on your home’s breaker panel, so you don’t have to have another piece of bulky equipment in your home. Interlock kits eliminate the need for extension cords to power your appliances, which eliminates the risk of extension cord failures or even fires. Interlock kits are safer, more effective, more reliable, easier to use, and easier to install. When it comes time to replace or update your generator, going with an interlock kit rather than a transfer switch is a no-brainer. Are you preparing to sell your home anytime in the near future? If you are, it’s essential that you make a detailed plan for how you’re going to increase the resell value of your home so that you can get the absolute best price. 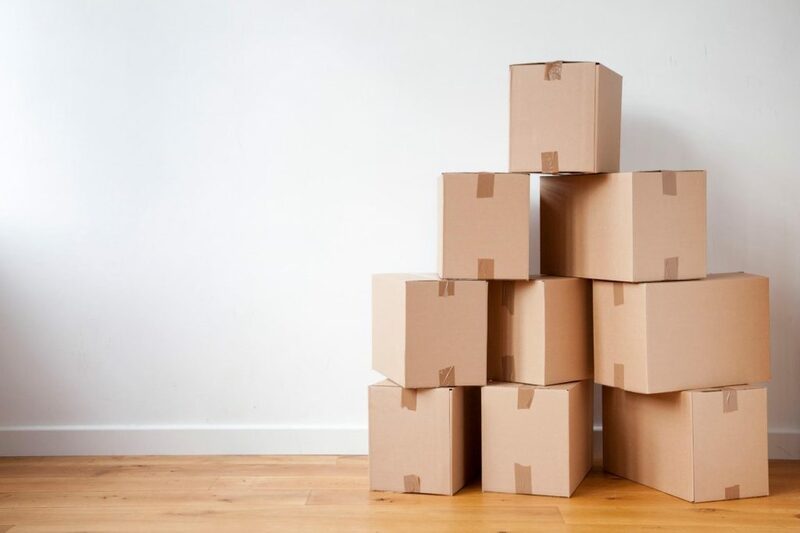 Here are a few simple ways to have a hugely positive impact on the value of your home without spending tens of thousands of dollars on renovations. The first things potential buyers see is the view of your home from the street. If your home looks drab, shabby, or un-cared for on the outside, people are going to go in with a negative first impression and won’t be as open to seeing all the great things about your home. Making your home looks gorgeous from the outside will put people in the right frame of mind to consider your home as a serious possibility. Start by painting your windows and front door. Choose a unique color for your front door that accents your home, and consider painting your windows a neutral grey, white, or even black to make them look new and elegant. Spend some time adding flowers, bushes, and other plant life to your yard, and keep the grass nicely trimmed while you’re showing your home. If you’re not much of a gardener, going with potted plants is a great alternative. Invest in a good power washing that will make everything look clean and brand new and consider adding some landscape lighting to accentuate your home’s façade. These small touches will have a hugely positive effect on your home’s curb appeal. 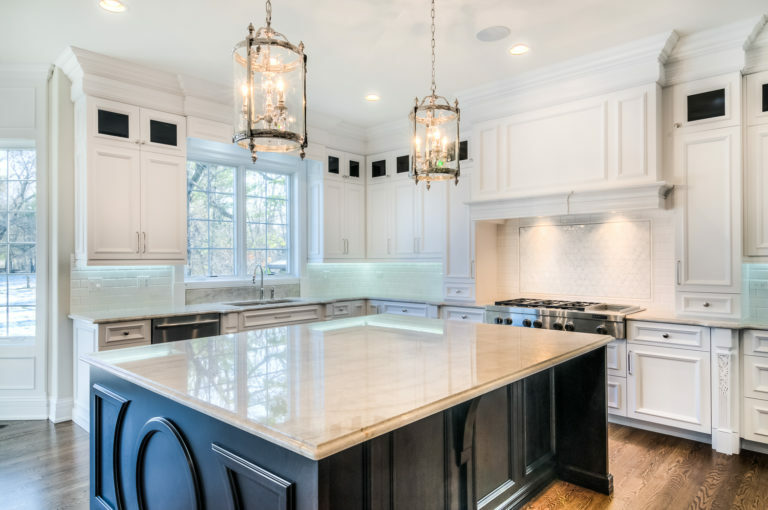 Buyers have listed a modern, updated kitchen as one of their top must-haves for over a decade, and a beautiful kitchen has been shown to be especially important to millennial home buyers. By investing in granite countertops, you’ll be able to completely transform your kitchen without remodeling the entire room. Granite is extremely durable and resistant to stains, burns, and scratches. It’s a natural stone, which means that every single cut of granite is different, and you’ll end up with something unique to your home. You can go bold with red, green, or pink granite or choose something classic and neutral like white, grey, black, or tan granite. Granite countertops will make your kitchen look modern, luxurious, and high-end in a way that home buyers will love. You might be surprised how much a fresh coat of paint can transform your entire home. Whether you use a painting contractor or do it yourself, refreshing the paint in your home is one of the most cost-effective ways to make it more attractive to potential buyers. If you’re not sure what colors to choose, you can bring in a color or design expert to help you choose the right thing for your home. Buyers of all kinds tend to like a neutral color scheme that includes a lot of white and ivory, but if you think color would enhance your home, don’t be afraid to add a pop of color here and there. Or, you can compromise and go from something light and airy like a sky blue or light sage green. That way, you still get your color without overwhelming the space. Today’s home buyers are more concerned with energy efficiency than ever before. By adding some enhanced insulation, double or triple paned windows, LED lighting, or energy star appliances, you can make your home exponentially more attractive to modern buyers. If you want to go the extra mile, you can even look into adding a solar panel or two to your home’s roof. That will set your home apart and could attract buyers that otherwise wouldn’t necessarily be looking seriously at your home. We all know the importance of spring cleaning, but what about winter cleaning? Most people spend far more time indoors during winter than any other season, which means that the pollutants trapped inside our homes will have the most drastic effects on our health during this time. Getting your carpets cleaned by a professional is about so much more than just aesthetics. Carpet cleaning is a vital part of maintaining a clean, healthy home, and that’s more important than ever in the winter months. Your carpets are always silently working to filter contaminants out of the air in your home. Carpets trap things like bacteria, allergens, dust, and dirt inside their fibers and prevent them from being inhaled by you and your family. After a few months, your carpets will become saturated with dirt and dust, and they won’t be able to clean your home’s air anymore until they’re deeply cleaned. Getting your carpets cleaned by a professional is the only way to ensure that your carpets are free from contaminants and ready to get back to work keeping your home’s air clean and healthy. Since you most likely won’t leave your windows and doors open during the winter like you would in other seasons, it’s even more important that the air in your home gets cleaned and decontaminated by your carpets because the flow of fresh outdoor air will be stifled. Winter also brings the holiday season along with it, and you may be planning to have friends and family coming to your home to enjoy holiday festivities. Whenever you have guests over, it’s natural to want your home to look its best. Professional carpet cleaning services will not only remove contaminants from your carpets, but they’ll leave them looking bright and new again. You’d be surprised at how freshly cleaned carpets can dramatically transform your entire home. You may notice that your carpets get dingy and dirty faster during the winter months. This is most likely because of a combination of snowmelt and road ice being tracked into your home. The moisture from tracked-in snowmelt makes dirt, dust, and grime stick to your carpets more readily, making the surface of your carpets look dull and dirty. Road and sidewalk salt can get so deeply embedded into your carpets that if left untreated, they can cause permanent damage to your carpets. Getting your carpets professionally cleaned during the winter is crucial to your home’s health and the longevity of your carpets. Since winter tends to be a slower time for many carpet cleaning companies, you’ll probably be able to get an appointment right away at a time that’s convenient for you. Five Star Chem-Dry offers carpets cleaning services that work better and clean deeper than typical steam cleaning services. Five Star Chem-Dry uses a carpet cleaning method called Hot Carbonating Extraction (HCE) that’s unique to Chem-Dry. HCE was designed to clean for your health and leave you with beautiful looking carpets. The carbonation used in HCE lifts dirt, dust, allergens, and bacteria from deep within the fibers of your carpet to the surface where powerful extraction equipment easily whisks it all away. HCE is a low water method that uses 80% less water than typical steam cleaning, so your carpets will dry in just two hours instead of multiple days. And, because winter is typically the driest season of the year, your carpets will be able to dry even faster if you get them cleaned during the winter months. Five Star Chem-Dry will leave you will beautiful carpets and a cleaner, healthier home for the holiday season. Carpet cleaning is an extremely important part of maintaining a clean, healthy home. Carpets trap a ton of dirt, dust, allergens, and bacteria inside their fibers, and if they’re not cleaned regularly, they’ll start showing signs of wear far sooner than they should. By getting your carpets cleaned, you can extend their life for years. However, when it comes to carpet cleaning, a lot of people will make the wrong decisions or try to cut corners. If you avoid these three common carpet cleaning mistakes, you’ll be sure to end up with clean, beautiful carpets and an overall healthier home. It’s crucial that you do your research and choose a reputable carpet cleaning company. There are so many carpet cleaning services out there that it’s easy to get overwhelmed and simply choose the first carpet cleaning company you find. But, by doing your research and reading customer reviews, you can eliminate a ton of companies that would have left you with poorly cleaned carpets and a huge bill. Carpet cleaning companies like Simple Steam have years of experience in the industry and a whole slew of satisfied customers to vouch for them. By choosing a company like Simple Steam, you can feel confident you’re making a smart carpet cleaning choice. You may be thinking, why would I hire a professional carpet cleaning service when I can just take an afternoon and get the job done myself? It’s true that there are a lot of do-it-yourself carpet cleaning machines for rent out there, but they don’t work nearly as well as professional equipment. Heavy duty carpet cleaning equipment is vastly more expensive and more difficult to use than the at-home variety, but that’s because it’s so much more powerful. Professional carpet cleaning equipment will penetrate deeper into the layers of your carpet and remove exponentially more dirt, dust, and bacteria from your carpets. Carpet cleaning services will also likely use powerful extraction equipment to get rid of the excess water left behind. In fact, Simple Steam’s technology is able to extract 90% of the water leftover from cleaning, so your carpets will dry in just a couple of hours. If you clean your carpets yourself, you could be waiting days for them to dry. You should be getting your carpets cleaned more than once a year, and if they’re looking dirty, you should never wait for spring cleaning to kick into gear before getting them cleaned. In fact, winter can be one of the best times of year to get your carpets cleaned. Carpet cleaning services are generally less busy in the winter months, so you’ll be able to get an appointment right away. Plus, the air is so dry in winter that your carpets will dry faster than any other time of year. We also tend to spend so much more time inside during the wintertime that having a clean, healthy home is more important than ever. 03/22/2019 What Kind of Blinds Are Right for Me? Copyright © 2019 American House On The Hill. Powered by WordPress. Designed by myThem.es.